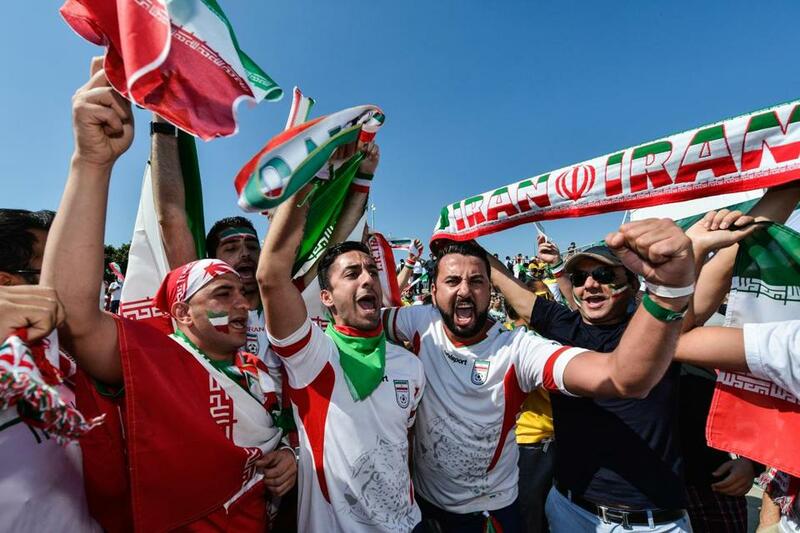 Forgive the author for not sharing the excitement of soccer fans during the World Cup. The United States will play Portugal at 6 p.m. Sunday in World Cup action. The whole world will be watching. All of the US will be watching. Certainly everybody in the North End and Brighton will be watching. Swell. Knock yourselves out. Start a Tom Werner, “Let’s Go, USA!’’ chant if you can. I’ll be content to read John Powers’s very fine account of the match in Monday’s Globe. I know where this takes some folks. If you don’t like soccer the Futbol Moonies will insist that you are an aging, unhip, xenophobic, uncultured dolt. Soccer is the world’s most popular game. It’s the game of the future. Anyone who doesn’t embrace soccer is simply ignorant, close-minded, or unable to grasp the concept that there is a whole wide world outside of Route 128. I’ve heard it all. I’ve been down this path for 40 years. My esteemed colleague, Bob Ryan, this past week said that anyone who doesn’t get into the World Cup is not a true sports fan. Sorry. I am done apologizing for not loving soccer. I am guilt-free. This is America. Land of choice. Land of freedom. I choose to ignore the World Cup on television. Please don’t hate me. Let’s get a few disclaimers out of the way. Those of us who don’t love soccer still love America. We love our USA team. We understand the beauty and simplicity of soccer. We agree that it is the world’s most popular sport. It’s a sport that represents democracy and meritocracy. It’s the perfect game for children. The big kids don’t dominate. Everybody is in motion. It’s not complicated. It doesn’t require much equipment or organization. There’s a great purity about the game. World Cup competition is a global event/celebration. I love it when the Greek natives at my local auto body close shop when Greece plays a World Cup match. Nothing else matters. It is a great source of national pride and it’s impossible not to get caught up in the passion and good feelings. Just don’t make me watch the matches. Try to understand that those of us who did not grow up with soccer might not embrace the artistry of the game. Soccer takes away our hands. This makes the game incredibly skillful and exhausting, but also robs fans of much of the beauty of sport. Hands and opposable thumbs separate us from creatures of the wild. Most of the memorable plays in sports are accomplished with hands. How would we have even known the athletic greatness of Pedro Martinez, Larry Bird, Bobby Orr or Tom Brady if they could not have used their hands? Soccer takes our hands out of the game. Soccer lovers tend to be an elitist, intolerant lot. They look down on those who will truly never “get” their game. They scoff at the mere mention of “soccer’’ when the whole rest of the world knows it as “football.’’ This wears me out. I have friends around the world. For a couple of decades my home was home to dozens of international students, all of whom loved soccer. I love baseball but understand why the game would present as slow, stationary, complex, and somewhat stupid to a young person from Spain, Ireland, or Tanzania. There would be no point in pounding my fist on the counter and demanding that folks from those regions love and embrace baseball because it is such a great game. I ask soccer folks for the same courtesy. Enjoy your game. Celebrate your game. But please do not insist that we must love your game. And please, no more about how soccer is the Game of the Future, here in the United States. Millions of kids in our country have been playing soccer for more than 40 years. This has not translated into an adult population of folks who’ll pay to watch professional soccer games. Millions of kids also play hopscotch, kickball, and lacrosse. It doesn’t mean those games can become mainstream American professional spectator sports. Fifty years ago American schoolchildren were taught the metric system and told that one day we would be calculating all of our vital stats in meters and liters. No more inches, feet, yards, and pounds. We were going to catch up to speed with the rest of the world. It never happened. We are still 6 feet 1 inch and weigh 200 pounds. And a lot of us still reject soccer as a mainstream professional spectator sport. World Cup fever is all around us and it’s great. I hope the USA beats Portugal Sunday. I hope Jozy’s hammy recovers for the next round (US forward Jozy Altidore pulled a hamstring against Ghana last Monday). I hope we advance out of the “Group of Death” and somehow win the World Cup for the first time. It would be almost as big as the USA beating the USSR for hockey gold in Lake Placid in 1980. But when the World Cup is over, soccer will be over for most of us. We will go back to football, baseball, basketball, and hockey. And we will not feel guilty about it.